A little about me first. I'm 6'0, weigh 248 lbs. and am a rather large guy. I enjoy kayaking, self-contained kayak trips, hiking, camping, self-contained hiking trips, etc. I'm not a pro, by any means, but I'm on a trip at least once a month and have been kayaking steady for 3 to 4 years. I did quite a bit of research when looking for a helmet. I looked for the significance between plastic, carbon fiber, fiberglass, and even Kevlar. 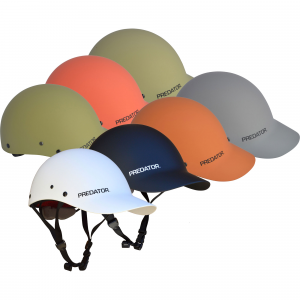 I read some blogs from people who have hit their heads and have severely damaged their helmets, but said that if it weren't for the Kevlar type helmet, they would have been injured far worse. 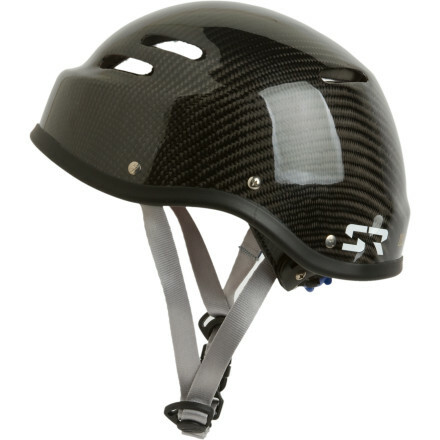 I didn't want to put a price on the safety of my brain, but only had $150 to spend for a good, durable, helmet. I did a lot of searching and decided on the Shred Ready Super Scrappy, which was plastic, and the Shred Ready Shaggy, which is fiberglass and "Shredlar (armid fiber) impregnated with Marine vinylester resins. I decided against plastic and went for the Shaggy. The helmet fits snug, considering I have a rather large head (23.5") which is good. 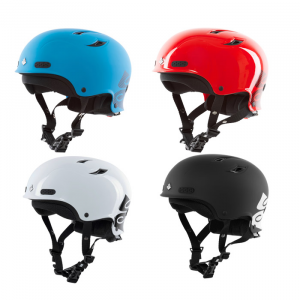 The helmet came in a carrying bag with 3 adjustment foam fittings, small, medium and large, and ear flaps to cover and protect your ears as well as keep them warm. The helmet has the H.O.G. 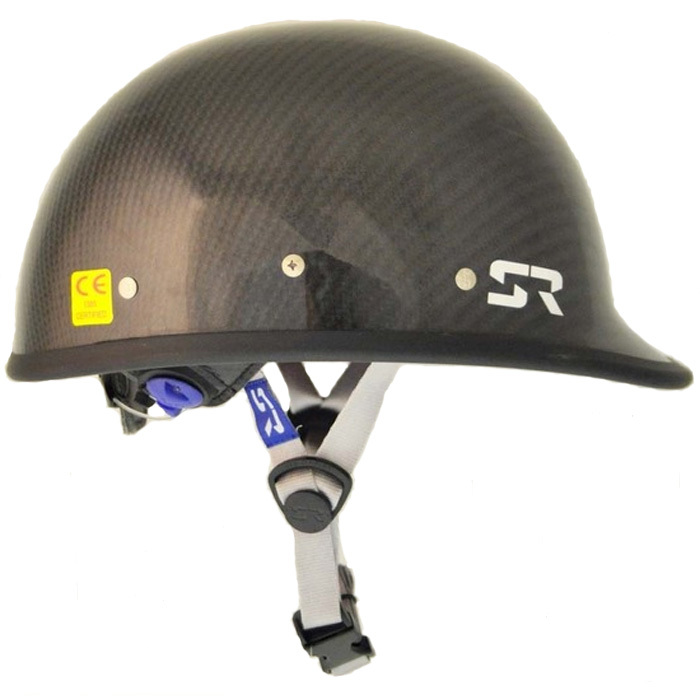 (Hand of God) retention system, which is comfortable and keeps your lid on and helps to make the helmet reversible. Performance: I've used this helmet on approximately 10 kayaking trips to date, of which, one of them I took a nasty spill on. I did hit my head on rocks, and aside from scratching and dinging the helmet, it remained intact. I've also recently used this helmet on a caving trip which took 3 hours to complete. 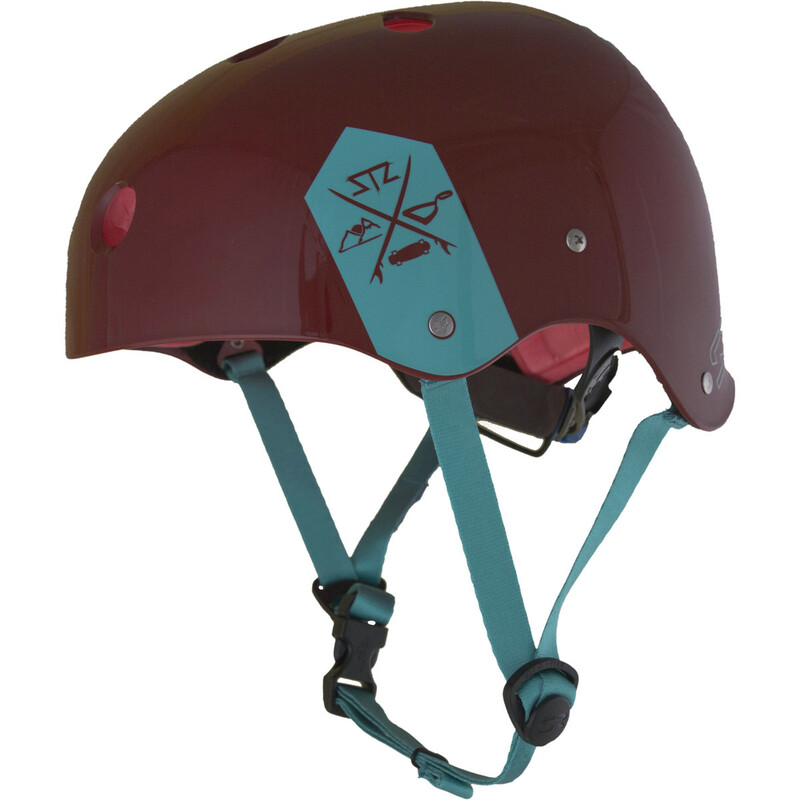 The helmet was very comfortable and saved myself some bruises, and cuts many times. So let me get straight to the pro's and con's of this helmet to sum this up. 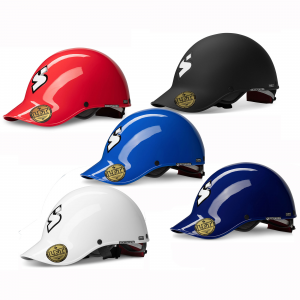 Pro's: Comfortable Fit, Strong/Durable Materials, H.O.G. Retention system keep the lid on tight, reversible. Con's: No Ventilation (which only cost it quarter of a star in my opinion), and the carrying bag is cheaply made as the zipper broke the day I received it (which cost this helmet the quarter of a star). The only real problem that I have with the helmet is that there is no ventilation and on some real hot days, your head starts to sweat quite a bit. That isn't necessarily a deal breaker for me, as I just take the lid off, scoop some water into it and then strap it back onto my head to cool off some. In the end, this was a great purchase, and the fact that I got it for almost half off the price of other retailers made it that much sweeter of a deal. 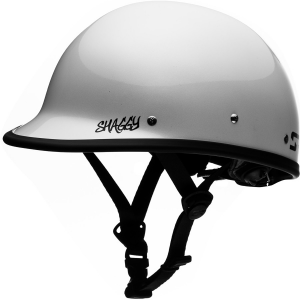 So, if you're looking for a helmet for canoeing/kayaking that will get the job done, keep your brain intact, and is comfortable to keep on your head for hours at a time, I suggest you look into the Shred Ready Shaggy.